In announcing on Tuesday that it had cut oil output by almost 800,000 barrels per day (bpd) in January to 30.81 million bpd, the Organization of the Petroleum Exporting Countries (OPEC) warned that weaker demand and higher production from countries such as the U.S. may hinder its efforts to avoid a global supply glut. 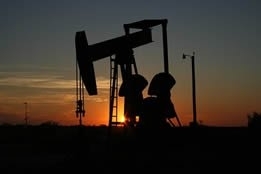 However, the cuts were apparently steep enough to escalate crude prices on Tuesday by over 1 percent: Brent was up 81 cents, or 1.3 percent, to $62.32 per barrel, while West Texas Intermediate ended the session up 69 cents, also 1.3 percent, to $53.10 per barrel. In its monthly report, OPEC noted that its January cutbacks were slightly more than the demand its expects for its crude on average in 2019, which has been calculated at 30.59 million bpd (a 240,000 bpd drop from its last report). OPEC also forecast that global oil demand would grow by 1.24 million bpd this year, down 50,000 bpd from last month, and that non-OPEC producers will boost output by 2.18 million bpd, 80,000 more than expected previously. And although OPEC staying on course would mean that the global market could see a slight surplus of about 200,000 bpd in 2019, its effect will presumably be nullified by Saudi Arabia, whose energy minister, Khalid al-Falih, said on Tuesday that the kingdom would reduce production to about 9.8 million bpd in March (in order to bolster oil prices). While al-Falih's assurances contributed to the positive sentiment in crude trading circles on Tuesday, those more interested in long-term developments would have doubtlessly taken note of the disclosure that Saudi-owned Aramco will expand into international oil and gas exploration in the coming years; of this, al-Falih stated, "We are no longer going to be inward-looking and focused only on monetizing the kingdom's resources; going forward the world is going to be Saudi Aramco's playground." Still, not everyone views the coming months as a time when swelling inventories must be dealt with: holding a distinctly contrary view as to where the crude market is headed was Bob Dudley, CEO of BP, who told CNBC that OPEC's efforts notwithstanding, "We don't even really have data from it; we will have to see what the data looks like, but the markets feel tight to me." Dudley cited "tragic circumstances" in Venezuela, uncertainty in Libya, rising U.S. production, and the U.S. sanctions on Iran to justify his position that "There's a lot of variables here and there's a lot of things that could lead to a real crunch."